Home Latest Medical Pravesh Prakriya Ma Aa Year Ma EBC No amal Nhi. Medical Pravesh Prakriya Ma Aa Year Ma EBC No amal Nhi. 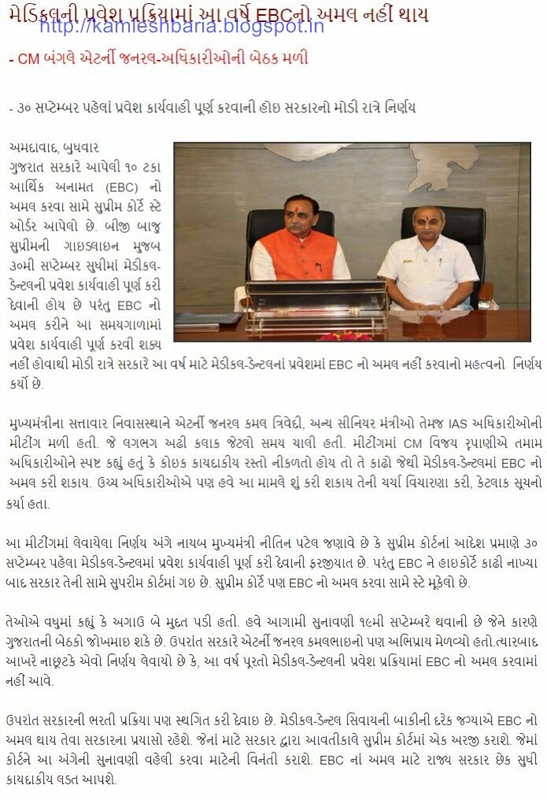 Previous articleGujarat Sahity Study Materials By Angel Academy. Next articleSTD:-1 To 8 Napas Nhi Karvani Niti Ma Sudharo Krva mangni.